Early in his career, Jay Zulauf was taught to take care of his clients. “If you place their needs before yours, then they will take care of you,” says Zulauf, a sales manager for loanDepot. His consultative approach with clients and the way he lays out the best loan products to meet their needs while effectively communicating and exceeding expectations at closing time, earned him Gold Awards from the Mortgage Bankers Association for the past four years. Zulauf’s knowledge of Federal Housing Authority, renovation, conventional and jumbo loans allows him to assist all types of clients, from those who need guidance with credit repair to customers with top-notch credit. 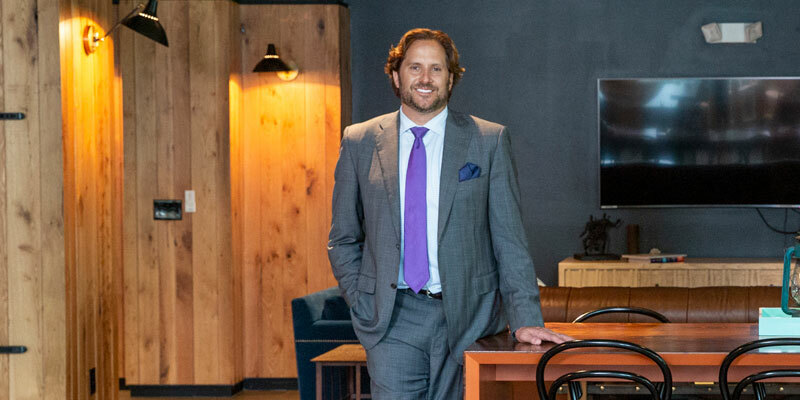 Fifteen years into his career, Zulauf mentors new brokers, and he says his greatest professional achievement has been the success of a particular protégé — his brother Jeff. In 2005, Jay says Jeff was unhappy in the corporate world but nervous about making the change to a career that was full commission. In the past year, Zulauf says he is most proud of helping a client through loanDepot’s rapid rescore program and getting them into their new home when all hope was previously lost. In fact, seeing clients’ happiness at closing is most rewarding to him. Most important to Zulauf is family time. Watching his son Brant and daughter Cuyler grow up while being there to support them is one of the greatest gifts. LoanDepot.com, LLC (MLS #174457) is licensed by the Florida Office of Financial Regulation as a Mortgage Lender Servicer MLD-903.